5 Numbers We Can Believe In? Graduate students and professors worldwide working in all subdisciplines of economics and finance. Secondary audience will include researchers working in international trade and international macroeconomics. 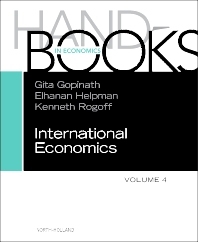 Winner of the Bhagwati Prize for the best paper published in the Journal of International Economics for the two years 2003 and 2004, she is a member of the American Economic Review editorial board. A member of the National Academy of Sciences, he is the author most recently of This Time Is Different: Eight Centuries of Financial Folly (with Carmen M. Reinhart), 2009.